Rio Salado College | RioNews: Constitution Week - Tuesday Trivia Contest! Constitution Week - Tuesday Trivia Contest! Our Constitution Week celebration continues! 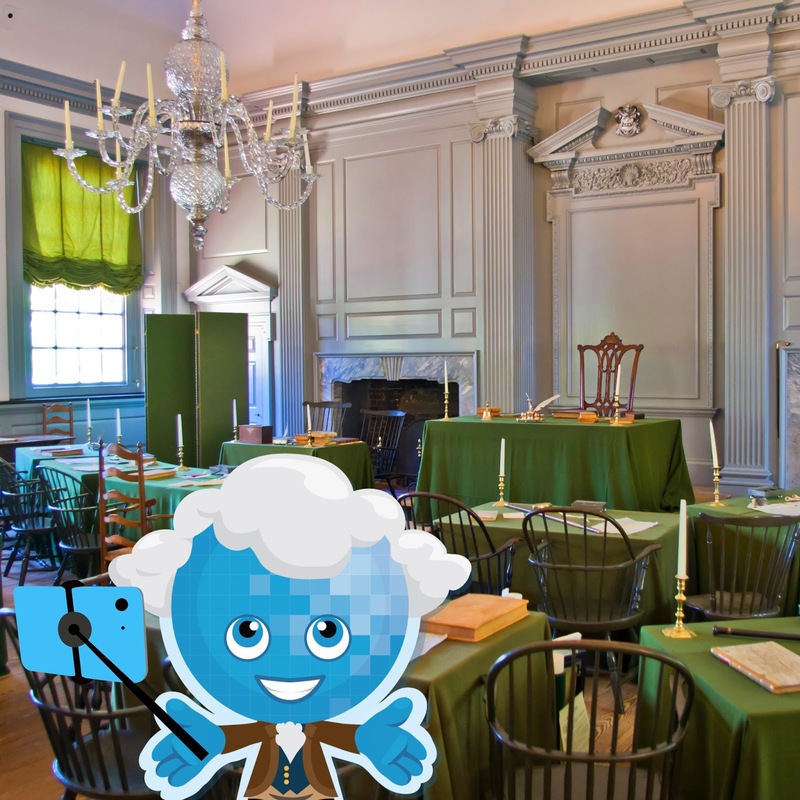 Test your knowledge on topics of history and pop culture of the U.S. Constitution with our Daily Trivia Challenge! Email your answers by 2 p.m. today to thewave@riosalado.edu. One daily winner will be chosen at random from correct entries to receive a pair of movie tickets. The lucky winner will be announced at 4 p.m. via RioNews and other social media channels. 1. In what building was the Constitution written? 2. Where is the original Constitution displayed? 3. What was the only state that refused to send delegates to the Constitutional Convention? For a full schedule of Constitution Week activities click here or use hashtag #RioConstitutionWeek to engage in a dialogue online. Good luck and watch for another quiz tomorrow! Pictured above is Rio Salado mascot Splash taking a selfie inside Independence Hall's Assembly Room in Philadelphia, Pennsylvania (hint, hint).